Bring a stylish storage space to your bedroom with this tall five drawer chest. 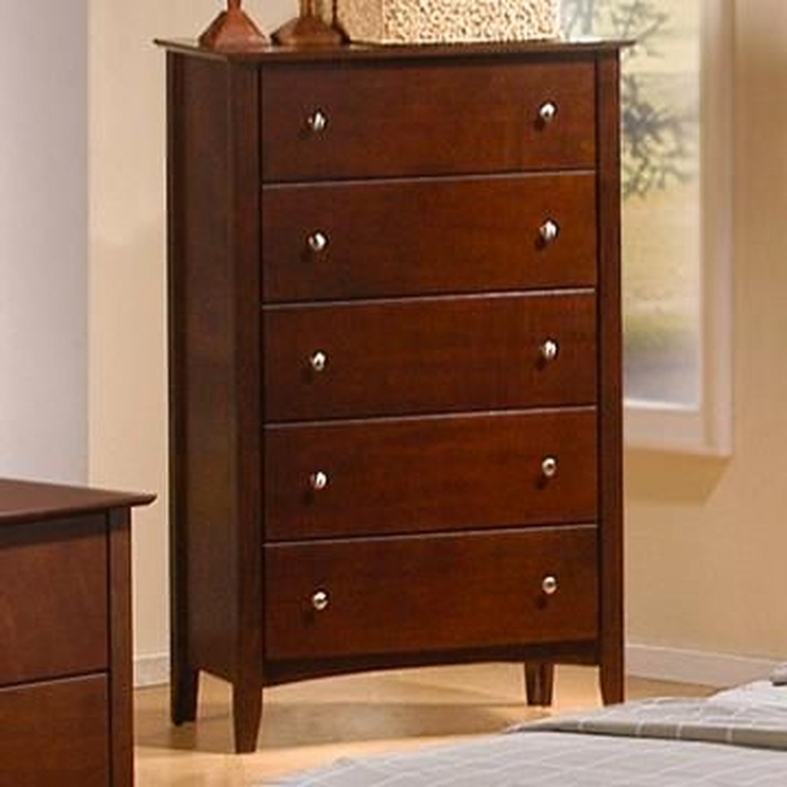 Featuring a vertical design, this chest is perfect for smaller bedrooms, closets or dressing areas. The piece has sleek tapered legs, metal hardware and a slightly oversized top for a contemporary look. Use the dresser's five spacious drawers to store your jeans, sweaters and other clothing items. Match the chest with matching collection pieces to create a stunning bedroom set for your home!